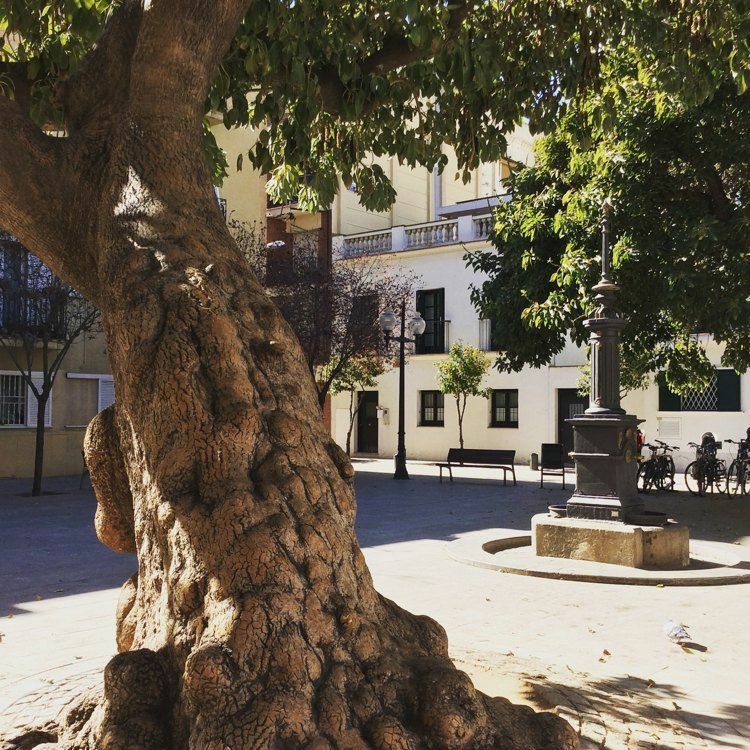 With no intention of overshadowing the Sagrada Familia, the Gothic quarter or the Montjuïc mountain, Poblenou is one of those places in Barcelona that deserve to be discovered as soon as possible. If we take into account the undeniable historical, architectural and economic importance that it has had since the nineteenth century, Poblenou is definitely a place to visit. From that time, there are still towering brick chimneys that bear witness to one of the largest concentrations of industries in southern Europe, as well as century-old factories that, in some cases, have been restored and converted into equipment, museums and universities. 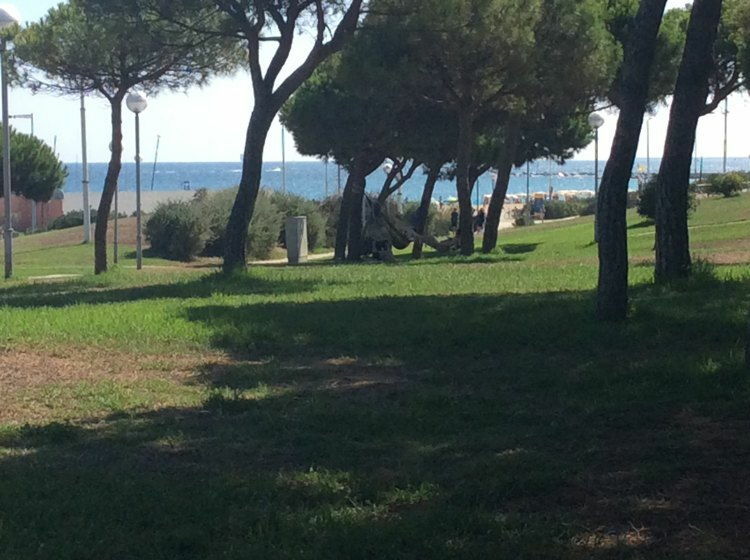 This is the environment in which our apartments in Barcelona stand: Lugaris Beach and Lugaris Rambla. Staying with us, you will have the perfect excuse to immerse yourself in one of the most relevant periods in the history of Barcelona. Are still thinking about it? Take a look at this list to learn what to see in Poblenou. Talking about Poblenou implies mentioning the Industrial Revolution in Barcelona. The figures prove it: in 1888, out of the 243 of the factories that existed in the current district of Sant Martí, 152 belonged to Poblenou. Thus, at the beginning of the 20th century, it housed the largest complex of industries in Spain, which is why it then earned such nicknames as the factory, the workshop of Barcelona or the Catalan Manchester. In 1897, the annexationof the town of Sant Martí de Provençals to Barcelona – a village documented since 1052- did not prevent Poblenou from remaining a key area. For decades, this corner of Barcelona provided Olivetti typewriters, Iberia razor blades or the first Frigo ice cream, which explains to what extent it has been part of the daily life of the people of Barcelona. The outbreak of the Civil War in 1936 forced the reconversion of some emblematic factories, such as Can Culleres, Can Girona or Can Rivière. Unfortunately, others had to close due to the shortage of the raw materials which were necessary to maintain their production. After the war, the companies tried to return to normal. For some time, and until shortly before the 1992 Olympic Games, their chimneys continued to look over the slums of Somorrostro, the neighborhood that saw the birth of the great dancer Remedios Amaya. Everything began to change from the sixties and seventies, when the number of companies began it decline. In 1990, Poblenou housed around 1,300 companies, a quarter of the factories that had existed thirty years ago. Nowadays, despite continuing in the process of deindustrialization, Poblenou still leads the ranking of this type of activity in Barcelona. This is thanks to the production of transport materials, construction and machinery, without forgetting the 22 @, the technological district of the city. Taking into account all of the above, it is not surprising that many of the most interesting sites in Poblenou have to do with its industrial past. Below, we summarize some sites that you should not miss on your next trip to Barcelona. Located in an old textile factory built at the end of the 18th century, it was inaugurated in 2009 as a museum of contemporary painting. Its rooms exhibit around 300 works created since the 1960s by Catalan artists or those based in Catalonia. Without a doubt a must-do when thinking about what to see in Poblenou. This old factory, in operation until 1974, is one of the best examples of industrial architecture in Barcelona. Currently, it hosts a civic center and the Can Felipa Municipal Sports Center. 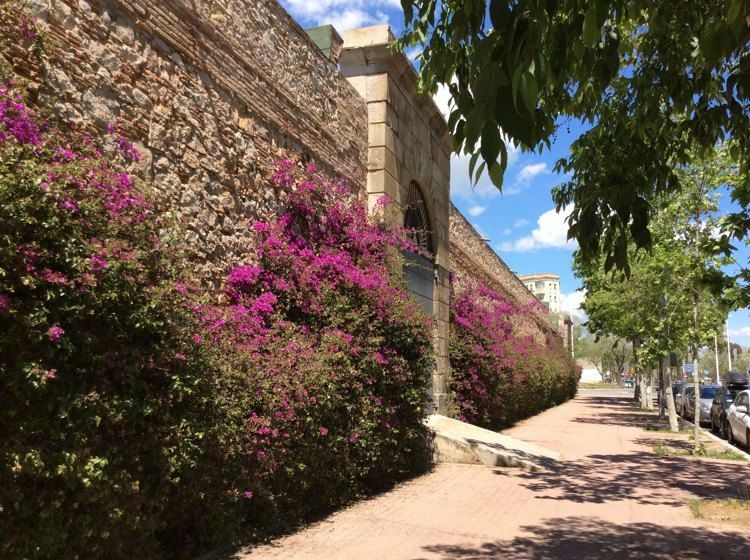 This commercial artery, baptized in its beginnings as Paseo del Triunfo and in which the Lugaris Rambla apartments are located, can boast of elegant buildings and magnificent restaurants and terraces where you can taste the best of Catalan cuisine. One of its most iconic claims is the Casino L’Aliança del Poblenou, in which plays are performed. You will also find some of the best places for brunch in Poblenou too. 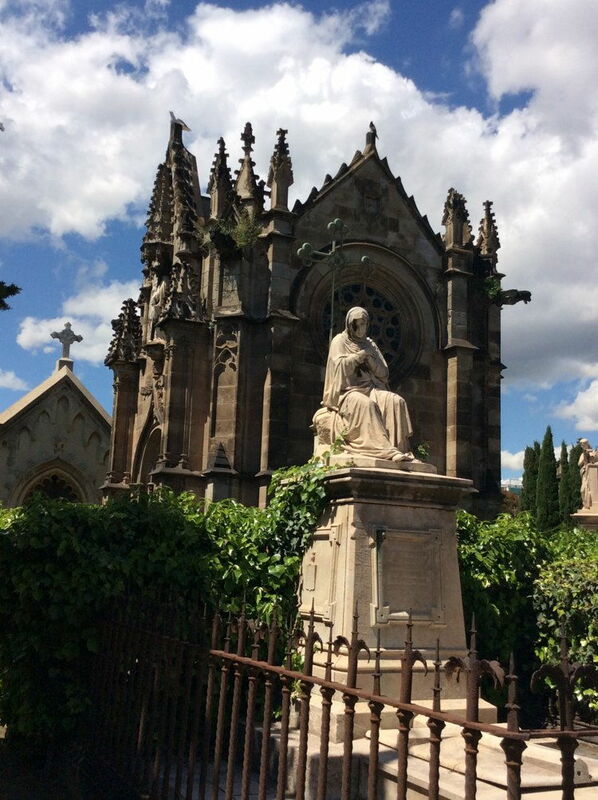 Also known as Barcelona’s General Cemetery, East Cemetery, Levante Cemetery or Old Cemetery, it was inaugurated in 1775, being the first cemetery created within the old city walls of Barcelona. After being destroyed by the Napoleonic troops, its reconstruction was entrusted to the Italian architect Antonio Ginesi in 1813. In 1821, it had to be used in its entirety due to a deadly epidemic of cholera. Due to the beauty of some of its sculptures -with the Kiss of Death as a flagship-, tombs and pantheons, it joined the Route of Cemeteries of Barcelona in 2004. This original 145 m high skyscraper, whose official name is Torre Glories, was erected between 1999 and 2005. Designed by the French architect Jean Nouvel, it is considered one of the great exponents of the so-called high-tech architecture and is the third tallest building in Barcelona, surpassed only by Mapfre Tower and Hotel Arts, the twin towers located next to Port Olímpic. Although it was going to host one of the most exclusive hotels in Barcelona, the project did not come to fruition. 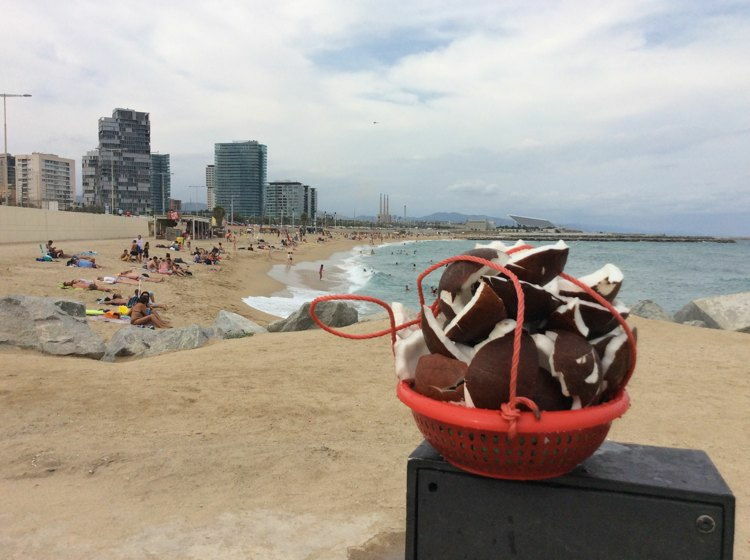 In this list you can not miss the two urban beaches that bathe the Poblenou coastline: Bogatell, frequented mainly by middle-aged neighbors, and Mar Bella, a nudist beach with a gay friendly stretch. Unlike what happens in Barceloneta and Vila Olímpica, bathers are usually local people. By the way: did you know that they are only 200 meters from the Lugaris Beach apartments? If you want to go jogging or take a relaxing walk during your holidays in Barcelona, you will like to know that this neighborhood has two magnificent green lungs. One is the Poblenou park, located next to the coast, and the other, the Poblenou Central Park. Created in 2008 by Nouvel and with a triangular shape, it is located between Avenida de la Diagonal and the streets of Bac de Roda and Marroc. Among its most remarkable sculptures, the so-called Wells of Heaven stand out. Poblenou is also an ideal option to go out drinking or dancing until the body endures. Hence, the area was renamed the El Triangulo Golfo (the naughty triangle). For example, the legendary bar L’Ovella Negra opens its doors, located in an extensive warehouse and frequented by twenty-year-olds, and nightclubs as legendary as Merlin or Razzmatazz , in which concerts by national and international groups are organized. Did we miss any places to see in Poblenou on the list? If so, do not hesitate to send us your comments. As always, they will be very well received. We are staying at Lugaris apartments and decided to explore the neighborhood, so this post was pretty useful during out first day. Poblenou is a beautiful area that has both beach and the best of Barcelona’s essence.